University Examination Schedule Examination Schedule is attached herewith. 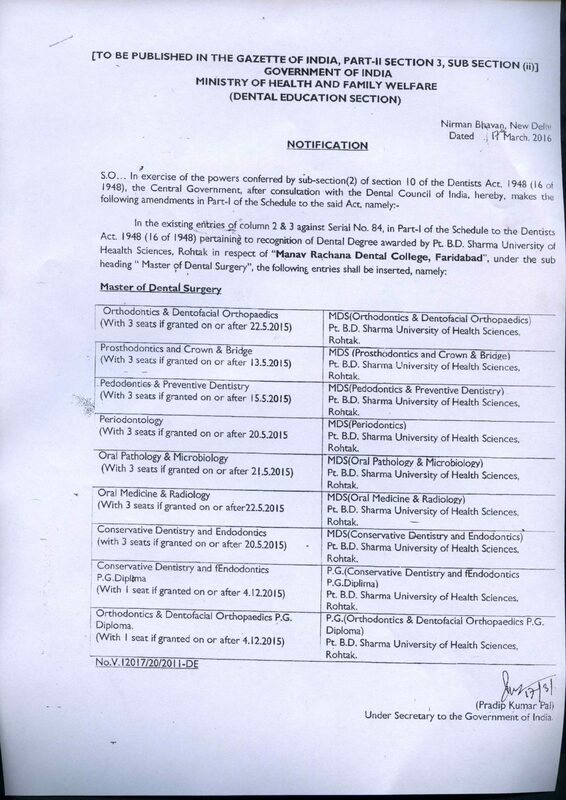 Details of attached General Hospital, Phone, Fax, email along with copy of latest approval for attachment Manav Rachna Dental College is attached with B.K. General Hospital, Faridabad. It is a 200 bedded Govt. 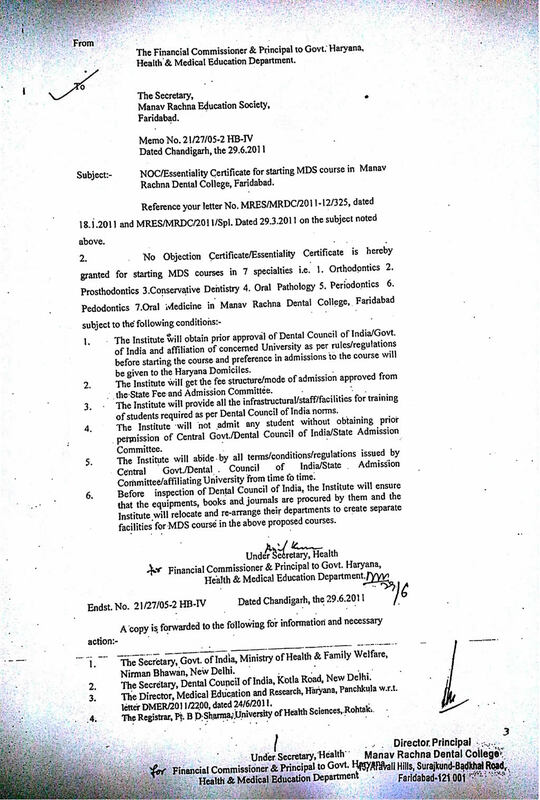 Hospital under the Department of Health & Medical Education Govt. of Haryana. Copy of approval is annexed herewith.